I don't know, I'm really kinda in a low on the blogging front those last three months. I did some things on my German blog, but now with 6-8h of work a day, and wanting to read so much, I find it hard to focus on writing reviews. However, I still want to review as many of my reads as possible, and I'm trying to stick at least closely to not starting something new before reviewing my last read. The rule is broken already, but I hope on net getting too far behind, like I did last year. As far as memes go, I am not so active on those either. I just don't have the time or sometimes even the energy to hop around the blogs. Most times I don't even set up a post anymore. *sigh* I really hope I can back to some of these, because I sorta miss being around the community, too. 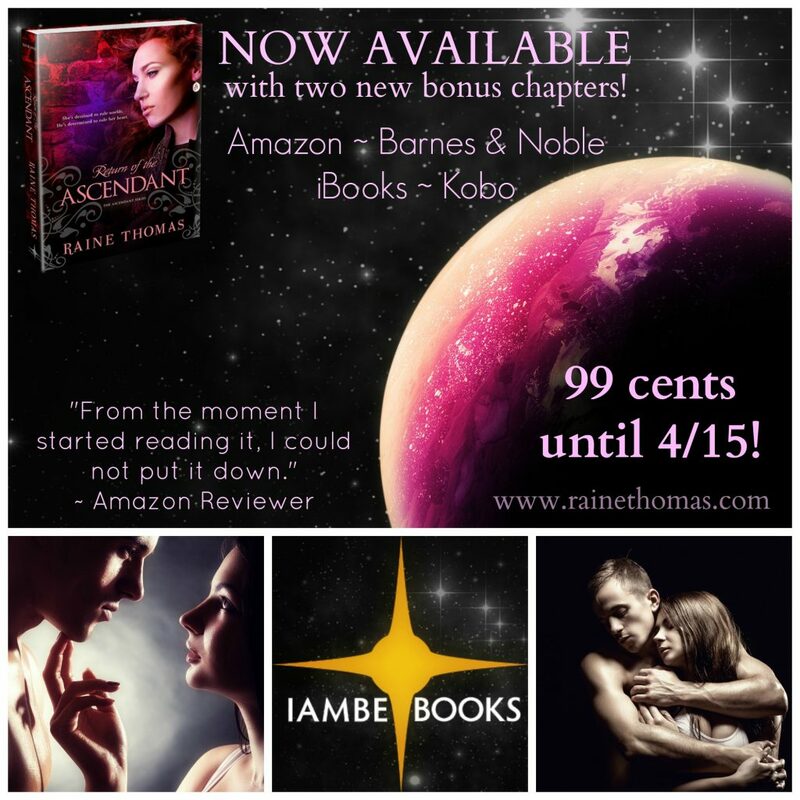 A new series by Raine Thomas! Hosted by YA Story Teller, thank you! I've signed up for four challenges this year! The Witches & Witchcraft Challenge (3 books), the Fangs & Fur Challenge (10 books), Series Reading Challenge (3 Series) and my very own Hard Heart Challenge (12 books). Furthermore, I plan to devulge into my other readng addiction with Manga May. I really enjoyed my Manga May (recap post), although I barely managed to complete the challenge, since I had started reading mangas again as early as April. But still, looking forward to next years'!